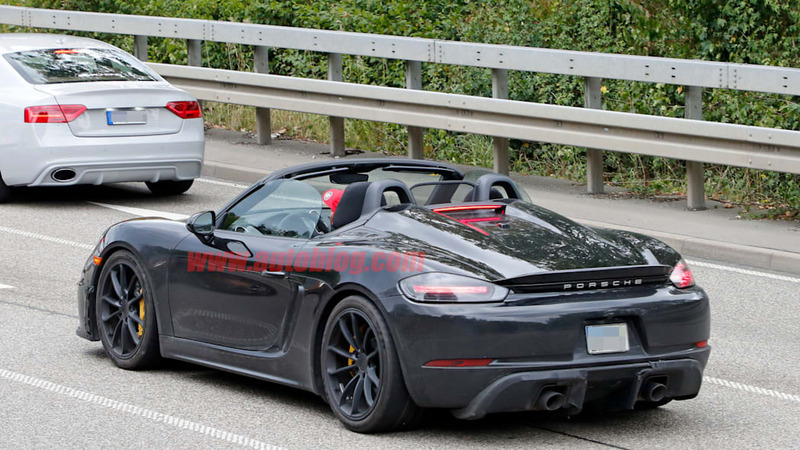 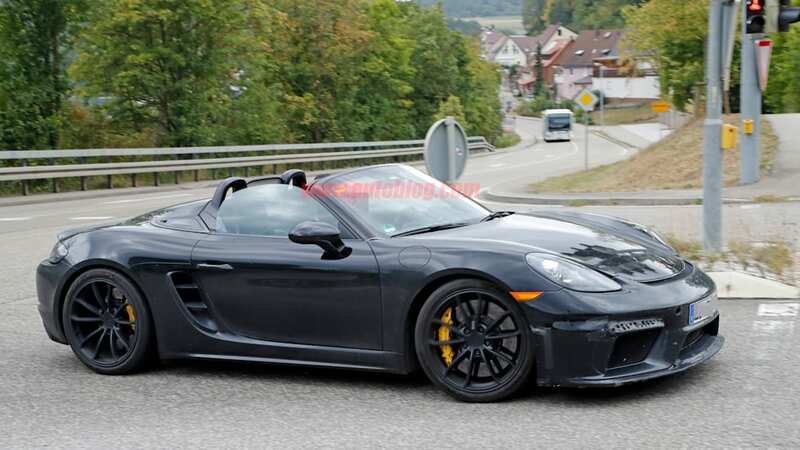 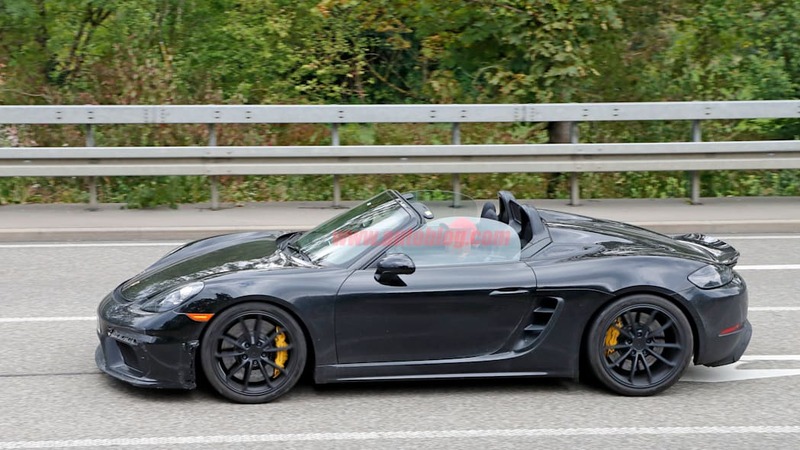 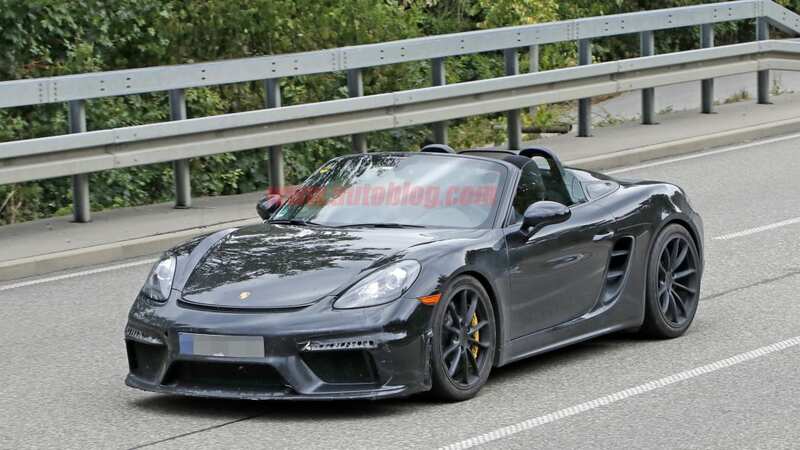 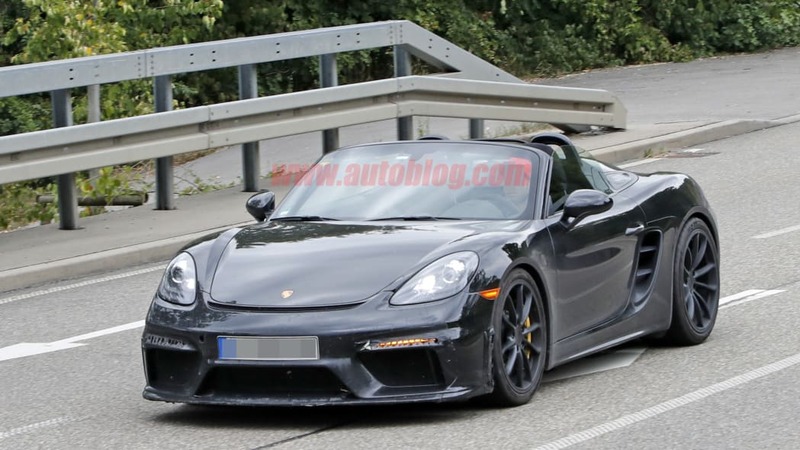 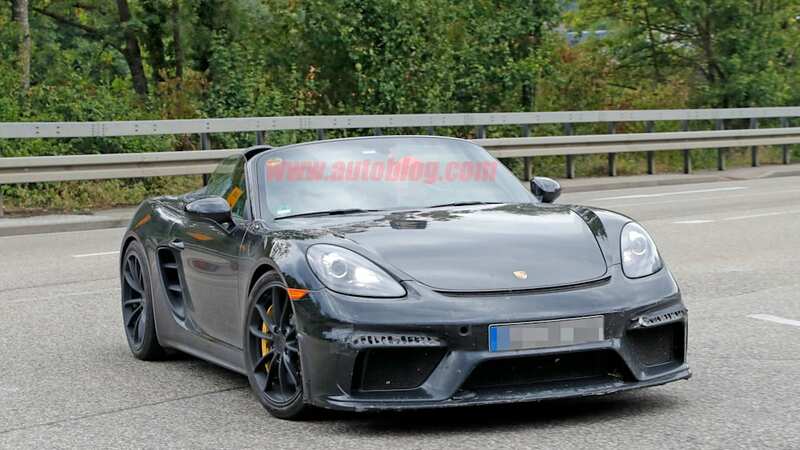 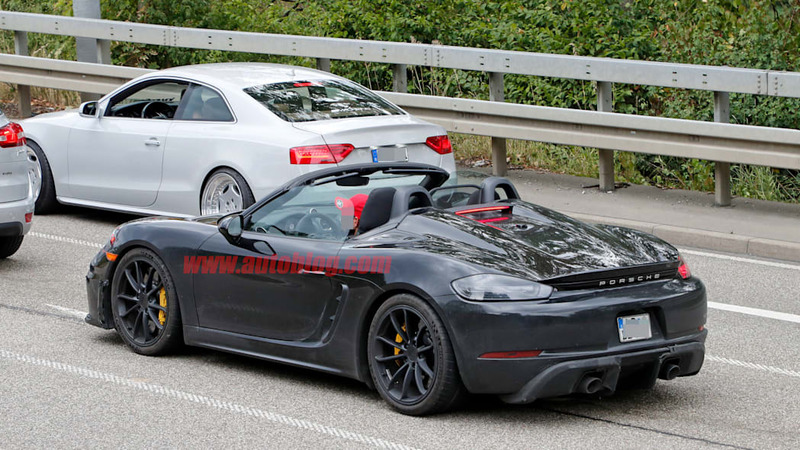 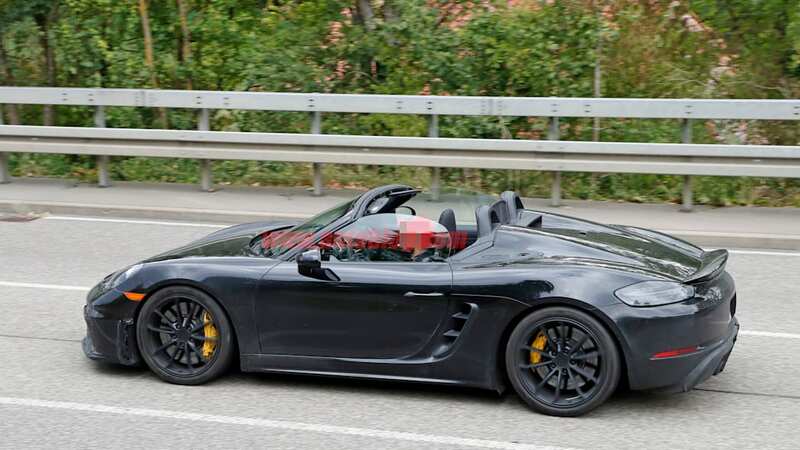 The Porsche Boxster Spyder must be nearly ready for production, because we've spied it running around on public roads again without any camouflage. 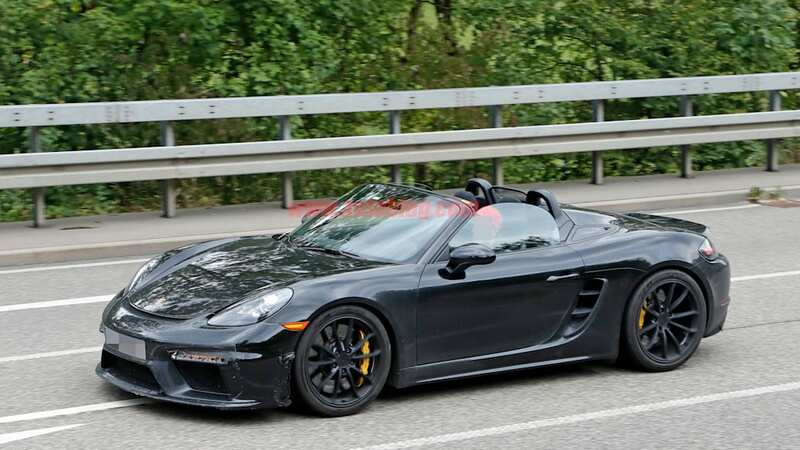 Rumors about it getting the 4.0-liter flat-six from the 911 GT3 continue to swirl with its impending introduction as well — here's what we know so far. 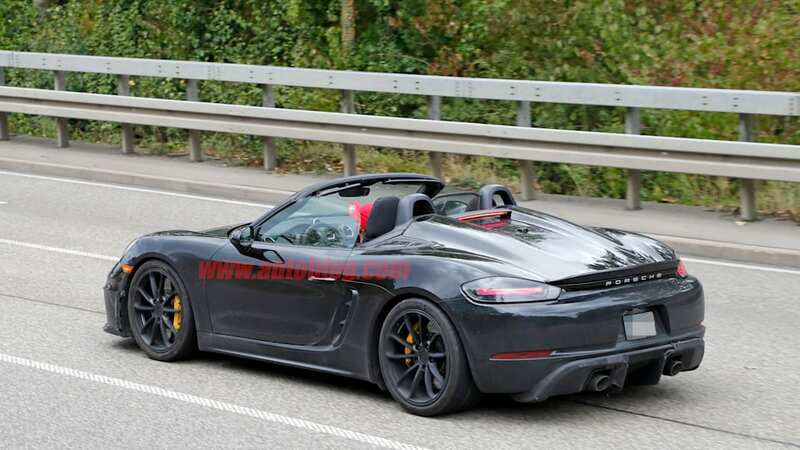 While it's perfectly plausible that we could be looking at an extremely high-output turbo-four pot, the flat six would make this 718 Boxster infinitely cooler. 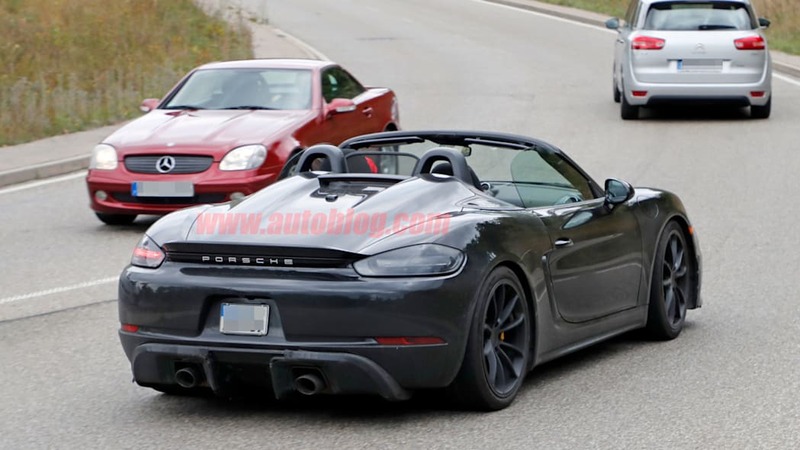 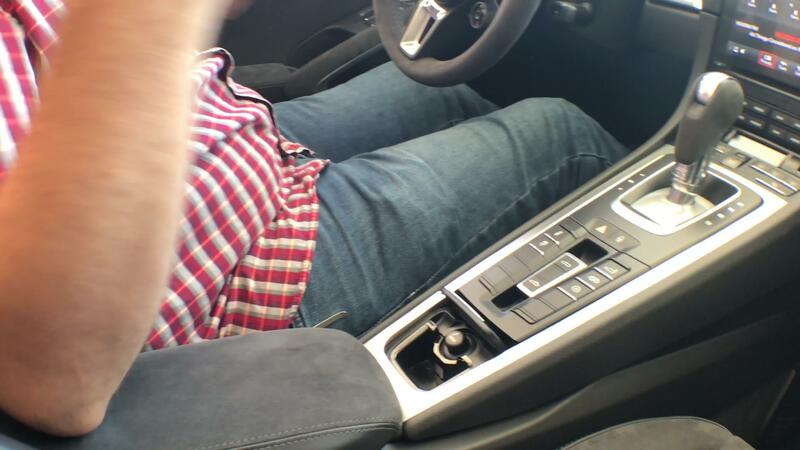 And videos of it flying around the Nürburgring seem to audibly suggest that there are more than four cylinders under those two humps behind the driver. 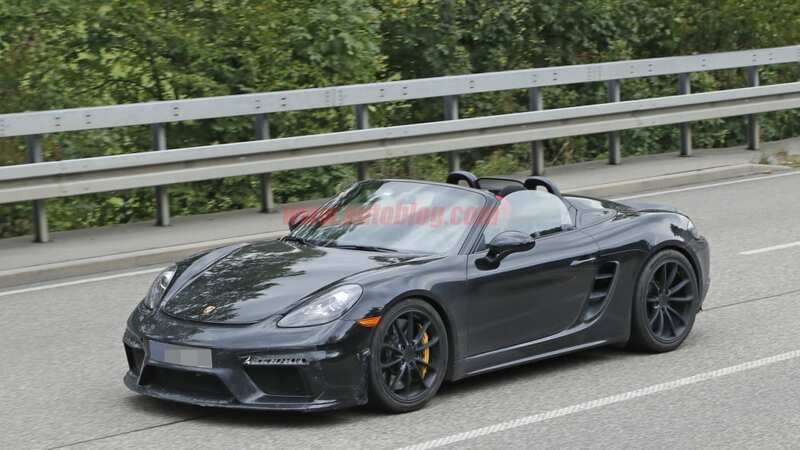 Of course, if Porsche does use that magical 4.0-liter, it'll most likely be de-tuned from its current 500 horsepower state. 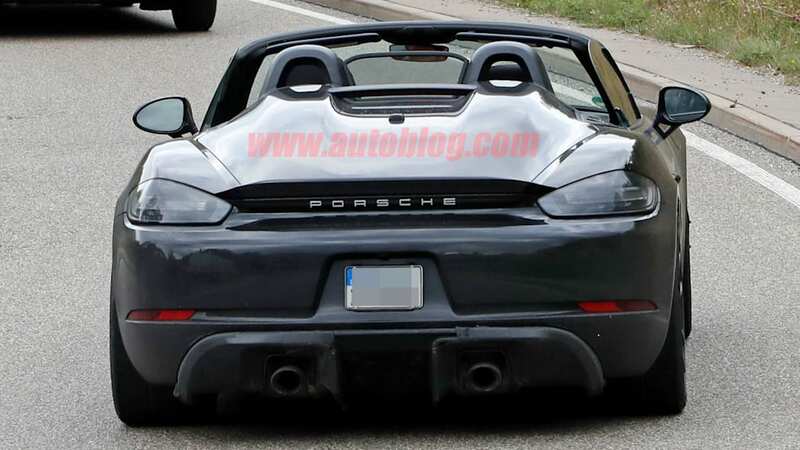 Think somewhere along the lines of low 400s. 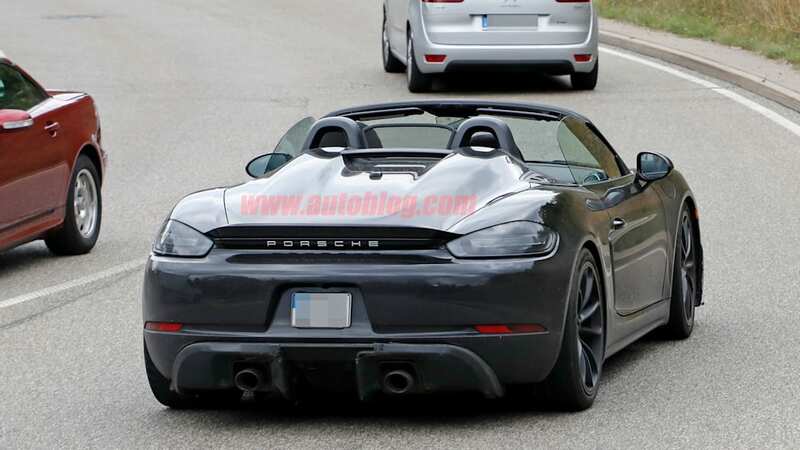 Looking at the rear of the car, its exhaust design varies slightly from all the other Porsches on the road, except for a Cayman GT4 test mule we saw earlier this year. 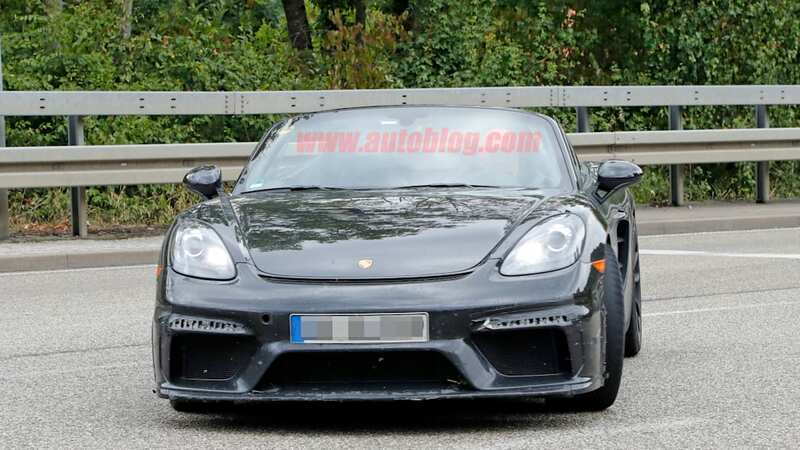 The original Cayman GT4 did not have the 4.0-liter GT3 engine, but rather, a 3.8-liter flat-six from the 911 Carrera S. It might seem slightly trivial to compare exhaust outlet designs on test mule cars, but the rear-end comparison is almost identical down to the diffuser shape. 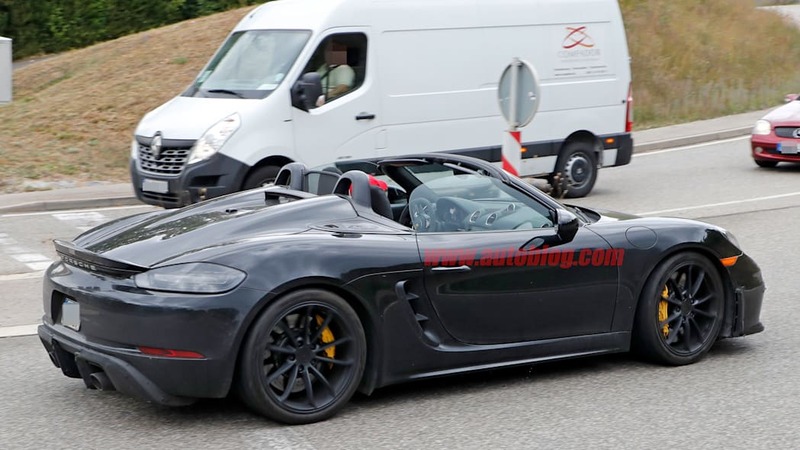 Take of that what you will, but chances are we'll be seeing a flat six in the Boxster Spyder once Porsche finally decides to reveal it.